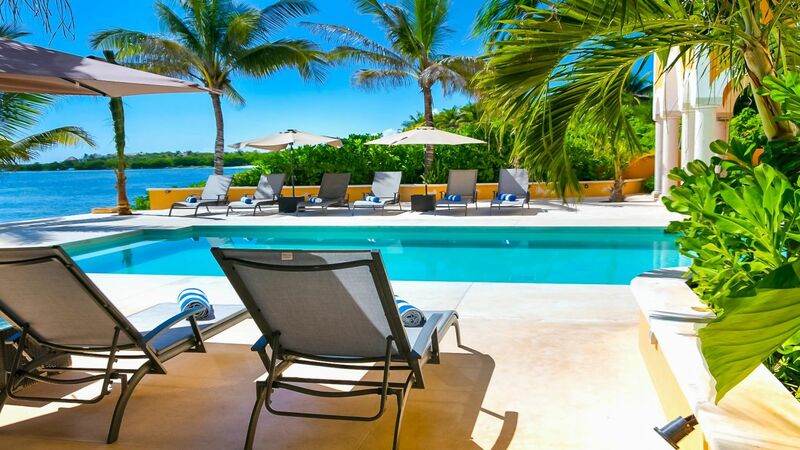 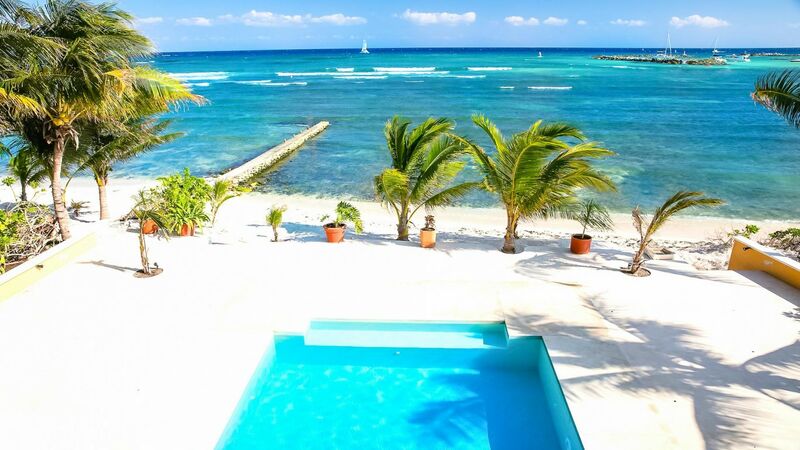 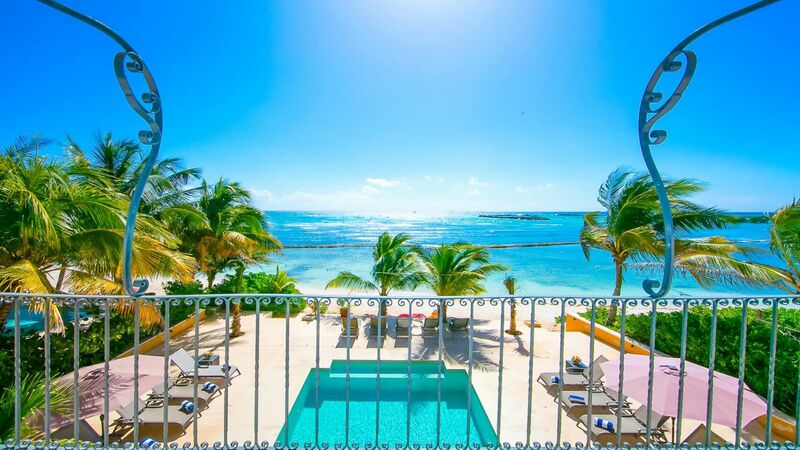 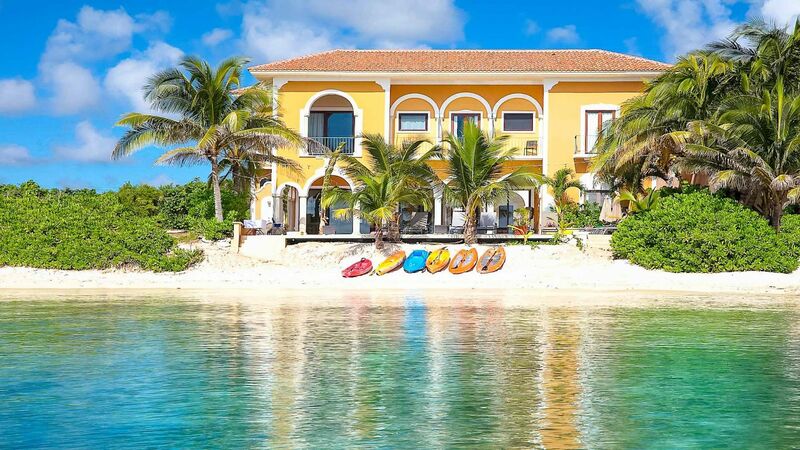 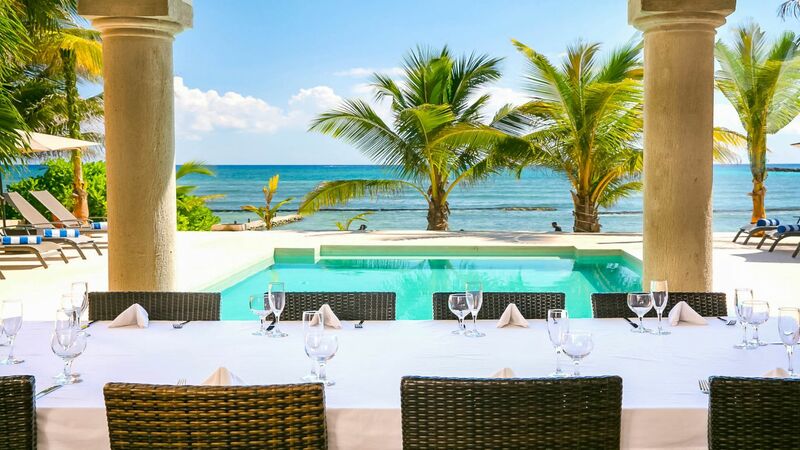 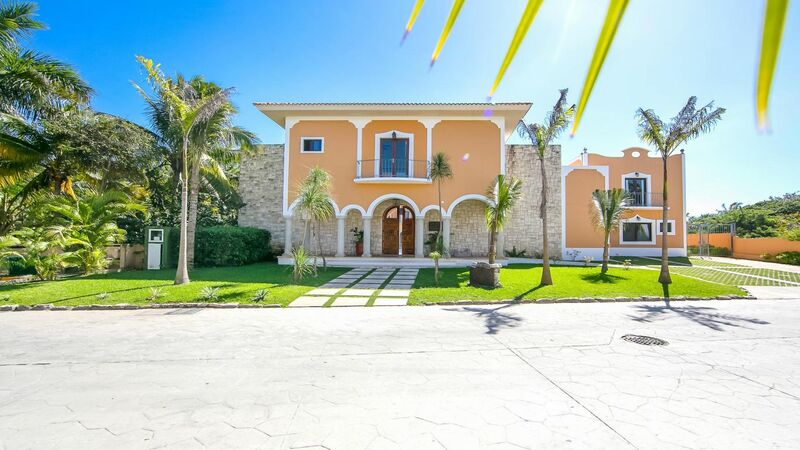 Villa Helen is a beautiful luxury home located right on the sandy shores of the Fatima Bay beach, Puerto Aventuras, Mexico. 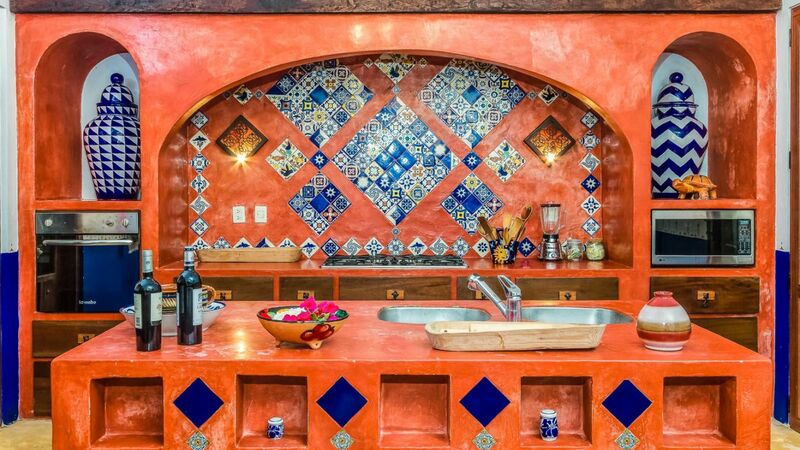 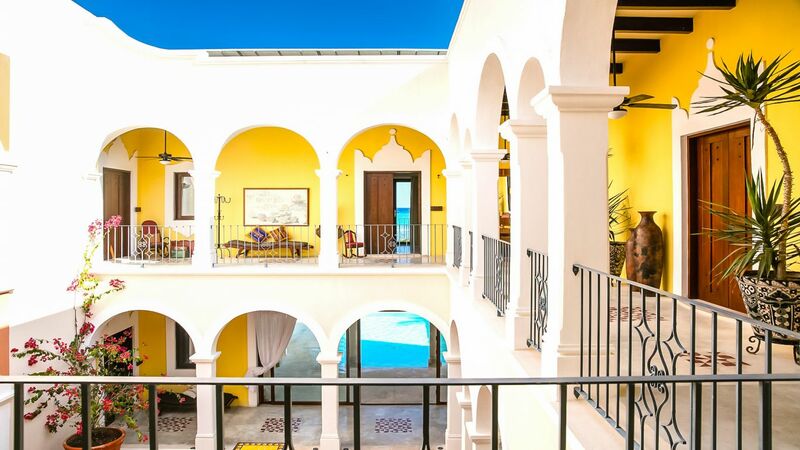 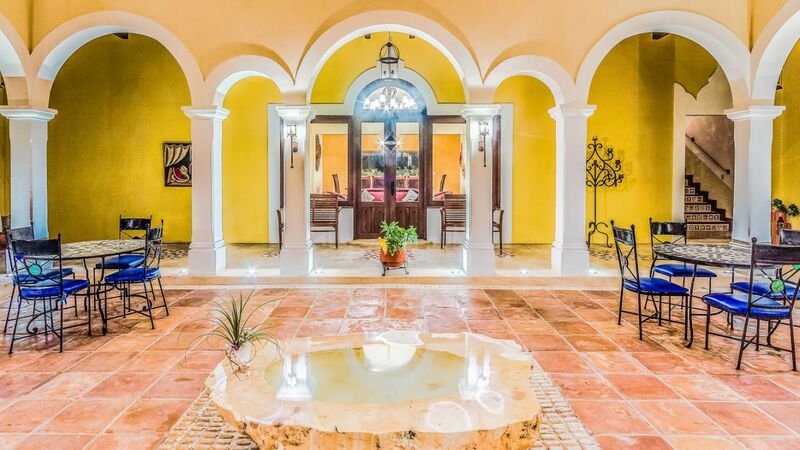 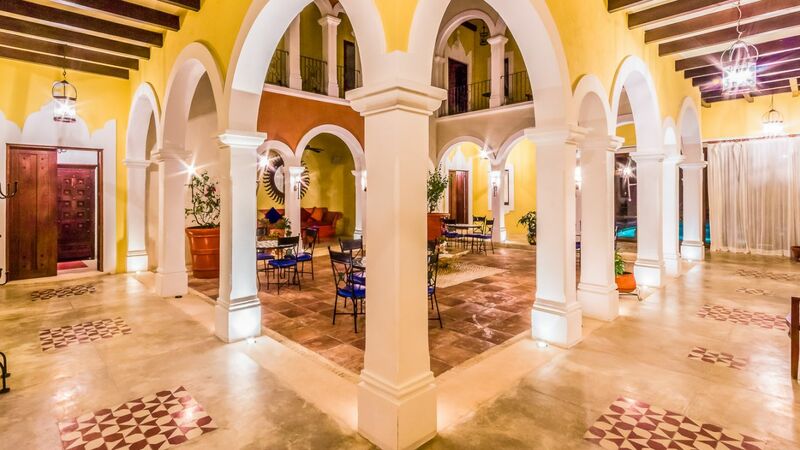 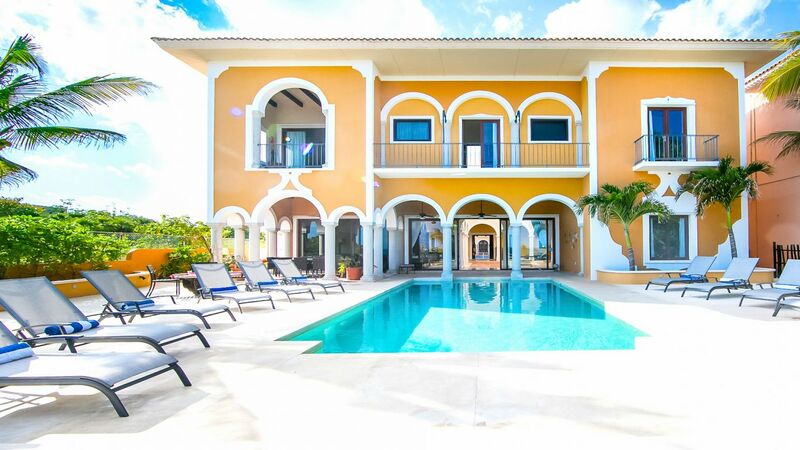 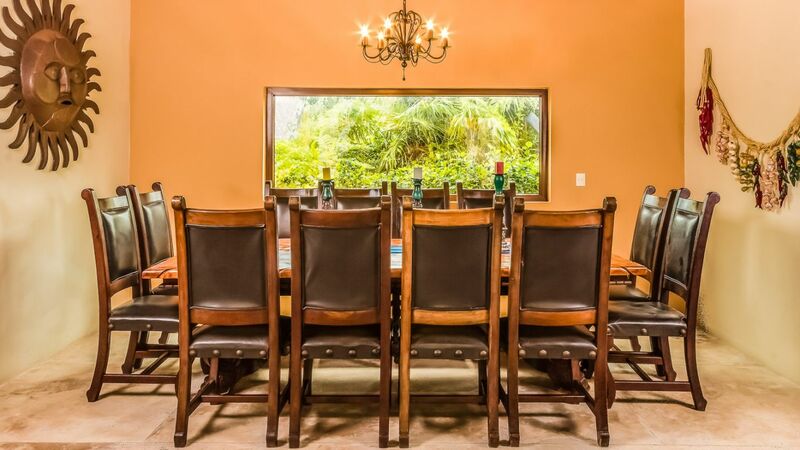 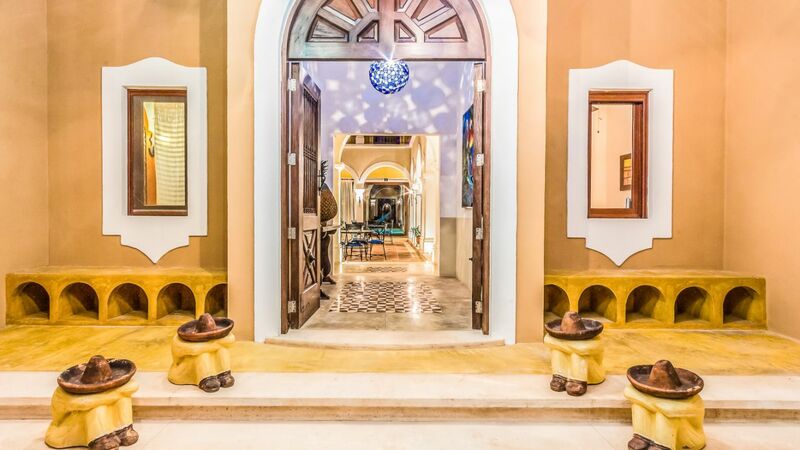 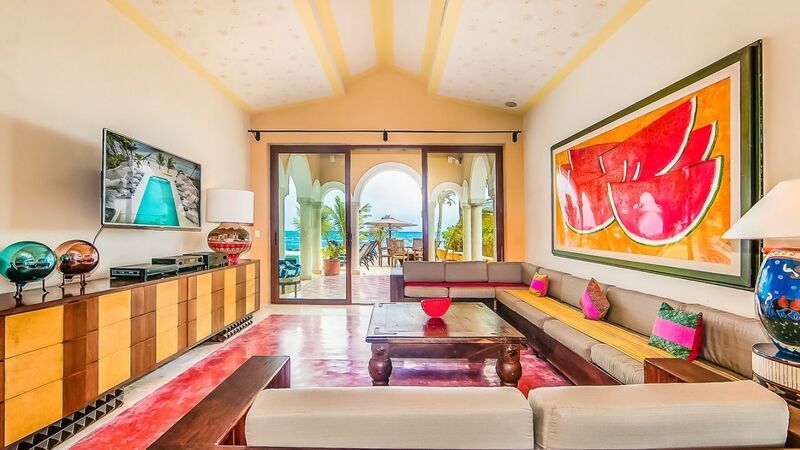 Designed with traditional Mexican architecture, this villa has intricate details with graceful arches, beamed ceilings and gorgeous detailed tiles. 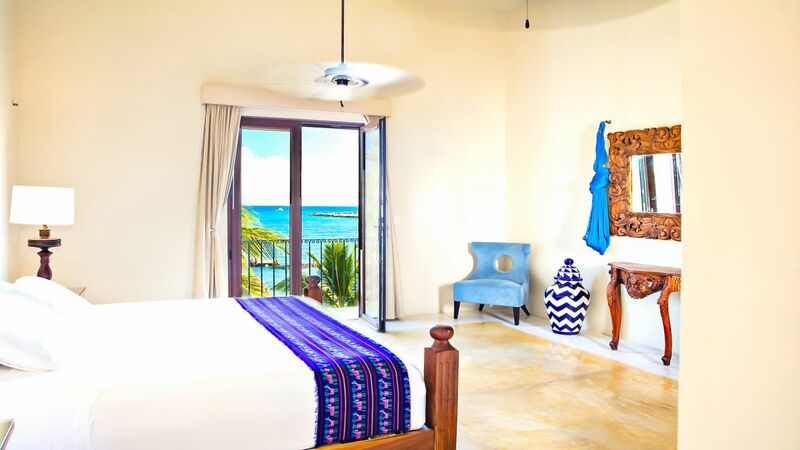 The main living and dining areas are bright and comfortable with vibrant walls and artwork complete with a fully equipped kitchen. 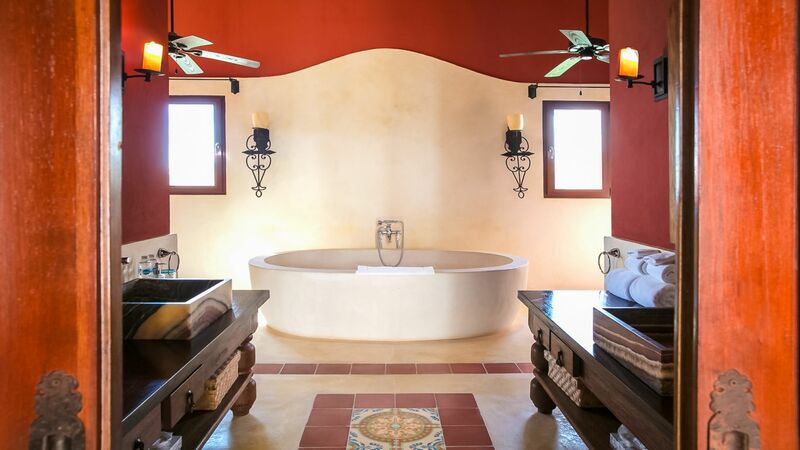 There are eight bedrooms in the villa’s main house: five with king beds and three with two twin beds each. 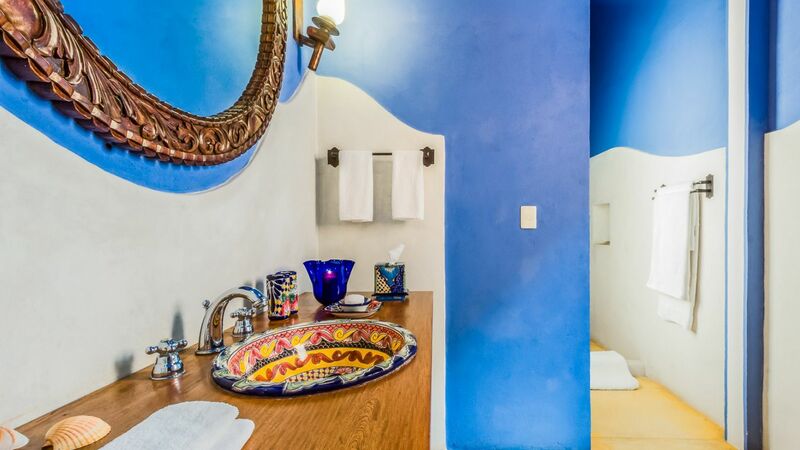 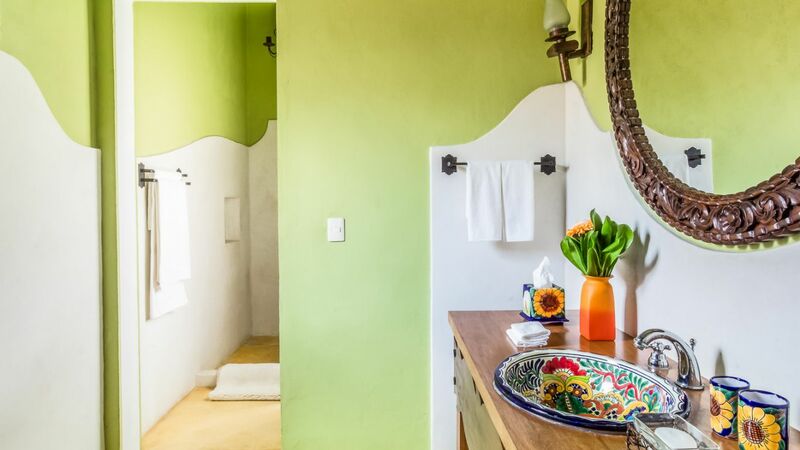 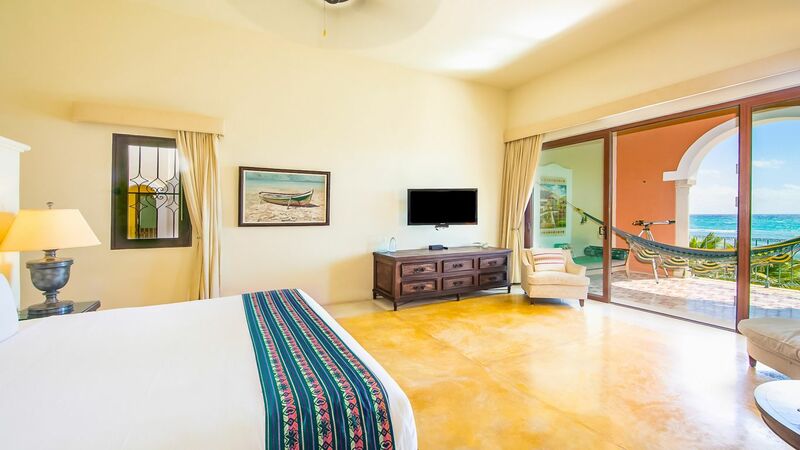 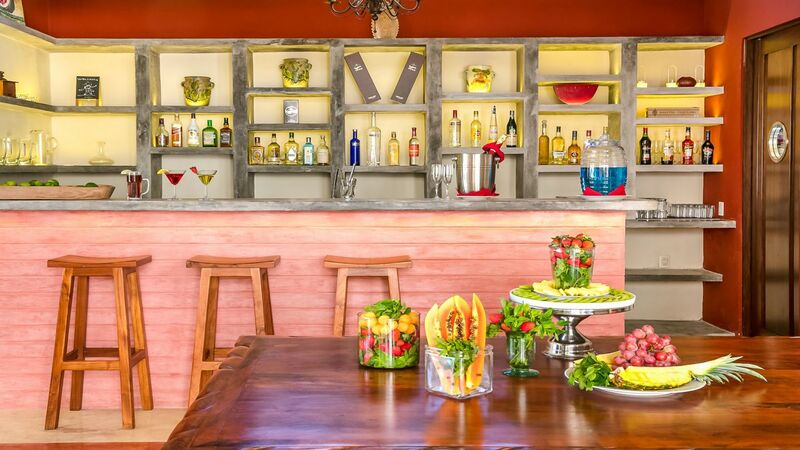 The hacienda also has three wings, each of which has one bedroom with a king bed and one bedroom with two twin beds. 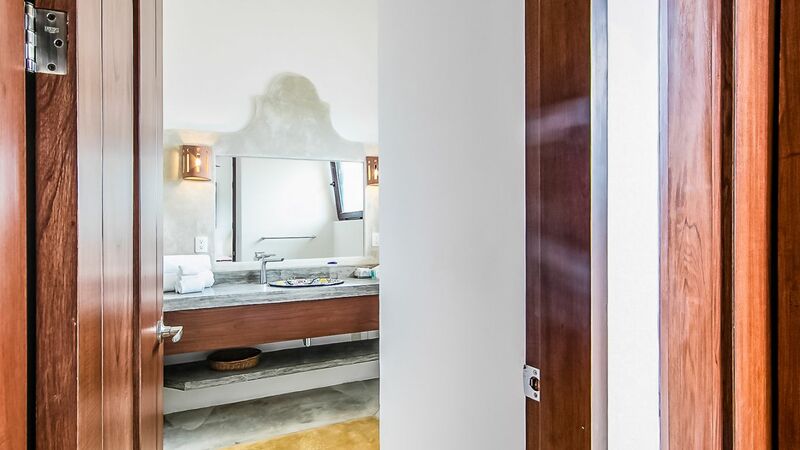 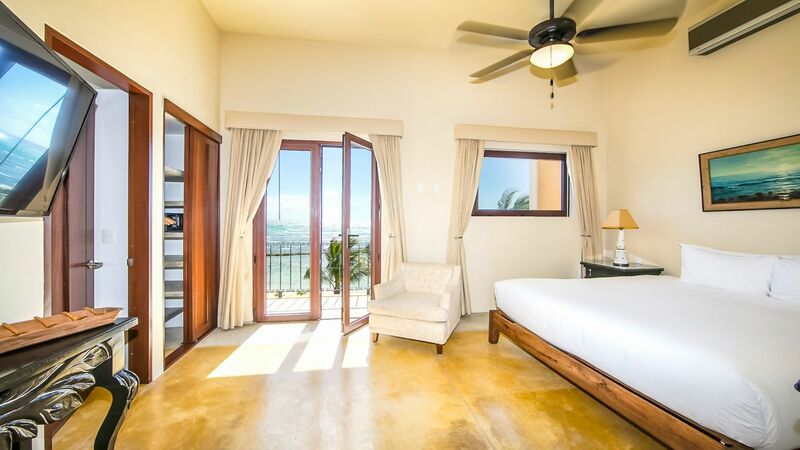 All fourteen bedrooms have en-suite bathrooms, air conditioning, safe and ceiling fan and some suites have TVs and some have balcony with spectacular views of the ocean. 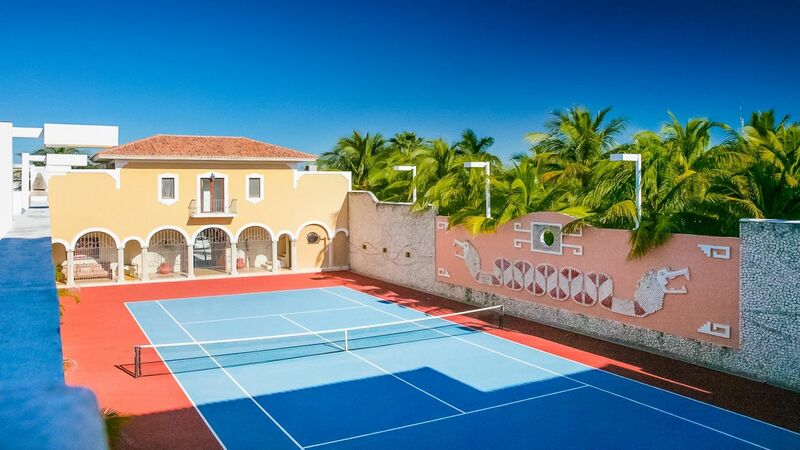 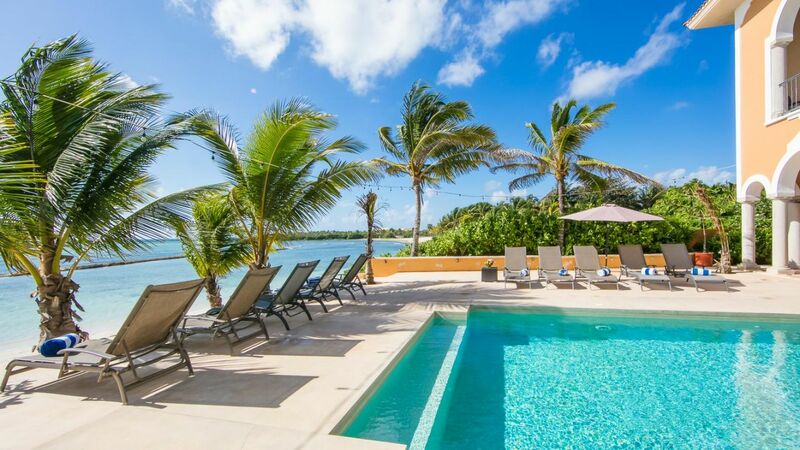 Outside this villa, is a lovely pool, outdoor lounging and dining areas, a barbecue and sound system, as well as a private tennis court.